Have you ever thought about how a simple smile can make your day? I know some of you may be saying, “um, yeah, right, whatever your say.” Stick with me here, though! Think about how you feel when your grandmother would give you that love-filled smile, how your favorite teacher would smile at you when you finally got the answer right on that nagging question, or how you feel when your child smiles at you as a parent. I think as we get older, we sometimes forget about how a simple smile can make your day. My biggest smile aha moment came when I was probably a young teen or so. Both of my parents had a lot of health issues as I got older, so the tone of the family was often a bit glum. I remember being at the grocery store with my mom one day and that familiar feel of morose had set in. Until I looked up and saw a kind stranger at the store genuinely smiling at me to where I couldn’t help but tuck the glum away and smile back myself. It was in that moment I realized how a simple smile can make your day. Not only for the person you’re smiling at, but also yourself. I can’t genuinely smile (we’re talking full smiles with your mouth open and teeth showing here, people, not those pitiful half-smile smirks ;)) without feeling at least a bit of warmth and brightness to make my day better. Since that moment, I’ve always tried to smile at people, even strangers, in passing, and to also always find at least one thing to smile about daily. Plus, doesn’t someone smiling make such a better first impression than being grumpy? Now that smiles are so important to me, dental care is also something that I really care about. We all know how expensive dental care can be, especially if you don’t have dental insurance like me, so I try to do as much as I can at home to take care of my Teeth and smile. This means using high-quality dental care products that are still affordable. Some of my favorite dental care products include Crest® toothpaste and mouthwash and OralB toothbrushes. I love that you can buy these products pretty much anywhere, even Dollar General! I enjoy shopping at Dollar General because you know you’re always going to get a great deal, and they often have special promotions. 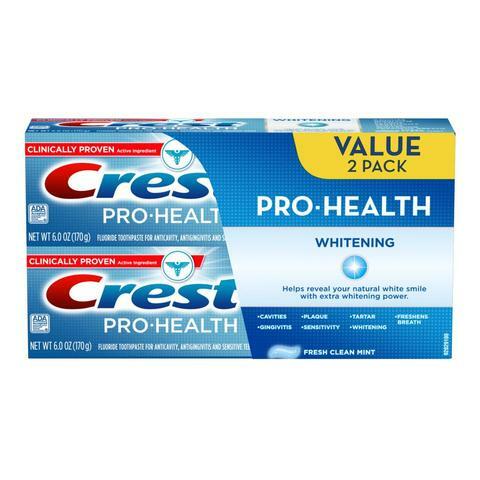 Right now there is even a promotion going on where when you buy any Crest or Scope products, you’ll get $.50 off any OralB toothbrush. Has your smile or someone elses smile ever had an impact on your day? « UPS Pin It To Win It Contest – 7 $100+ Gift Cards to Win! My dentist recommends this toothpaste. Many people don’t show their teeth when they smile b/c they are embarrassed by their teeth. It is too bad that dental care for adults isn’t incorporated into the new health care system. When there is a day for free dental care, thousands of people line up the entire night, and they have to send many away. Add to that the people who can’t stay outside all night due to their health or circumstances.